Why is Developing Ten-ness Important? Since we use the base 10 system in the United States, the concept of ten-ness can be thought of as the foundation of place value. When students are able to compose and decompose numbers into tens, they can better manipulate numbers mentally. It does not matter how large or small the number, they can still apply this concept.What Tools Can I Use To Help Students Develop Ten-ness? 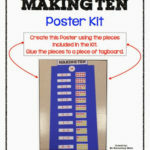 One effective tool to assist students in making tens is the Ten Frame. These are so easy to make and cost zero dollars! All you need is a piece of paper and a marker. What Types of Activities Help Students Develop Ten-ness? There are numerous activities that your students can do to increase their “ten-ness”. I wanted to share one with you that deals specifically with adding 3 numbers using a Double Ten Frame. The game is called Find the Ten Within. Place color counters on the game board to represent the rolled numbers. For example, if you roll 5, 2 & 6. Allow the students to use two sided counters to show those numbers on the double ten frame. Fill in the boxes to complete the equations on the recording sheet. The number sentences should reflect what was rolled and what was colored in on the double ten frame. 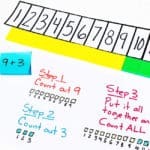 This is a simple yet fun activity to help students visualize relationships between numbers and is a precursor to place value. Click here to download the free template. As a fourth year college student who is getting ready to have her own classroom, I found this post educational. During this semester, we were taught a variety of ways to teach base 10 and place value to first graders. However, using a ten frame was new concept for me. 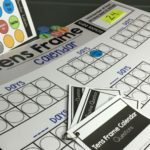 Your post and activities to go along with ten frames helped me understand how to implement them in my future classroom. I enjoyed how you highlighted the importance of teaching base 10 to students. 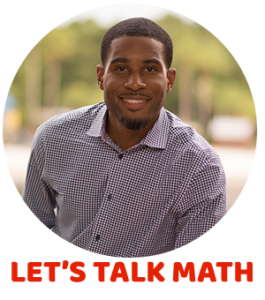 You are right when you say that base ten and place value are the foundation of math for all students. Going off of that, I have seen in the classroom setting when a student doesn't understand making ten and place values, they are more likely to fall behind. One way to reduce the confusion when learning the base ten system is though the game in you post. I think that by using a twenty frame during the game, students have the opportunity to practice grouping numbers into groups of tens and singles. As an outcome of the game, students will have a positive way to enhance their understanding about our base ten system. I am currently taking a math methods class at the University I attend. In this class we have discussed how important it is to teach students to make tens and/or friendly numbers. The activity you discussed is a perfect way to teach students this concept. It is not only teaching them addition but also helping students create a deeper understanding of the base ten system. I love the fact that you give students a visual model to fill in. I believe that this will help make the transition to mental math a lot easier. I know that I would have loved this activity when I was in elementary school, and definitely plan on using this activity and others that you have shared in my future classroom. Within my math methods course at the University I attend, we have discussed the importance of teaching students the addition strategies of Making Ten. 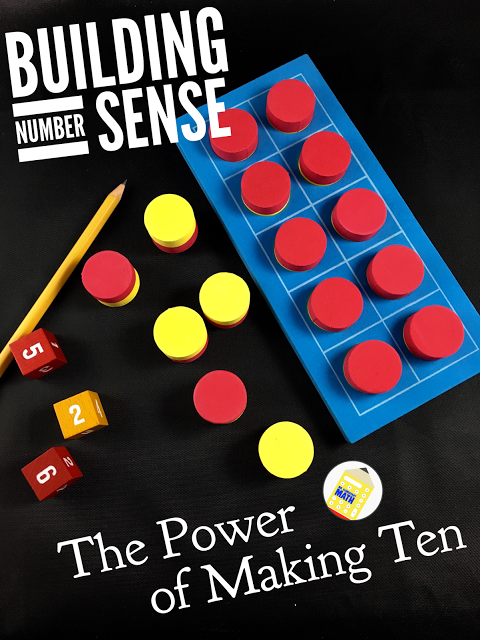 I agree with what you highlighted about how teaching students the strategy of Making Ten helps to develop their mental math skills and overall number sense. I also really enjoyed your game with the Ten Frames and dice. 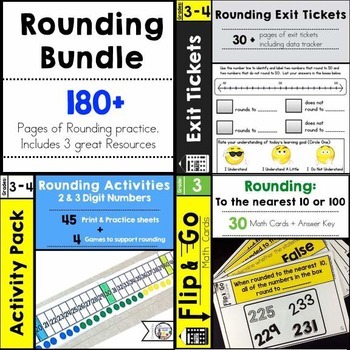 This game and resources are great, and I plan to use them within my current elementary placement this semester as well as in my future elementary classroom. I would have greatly benefited from this activity as an elementary student who struggled in math. Thanks for sharing this! I agree with you on stressing the importance of teaching the importance of "Making tens". As you stated this allows student to compose and decompose numbers more easily which is essential as students progress in their math. I believe that in the real world we look for ways to use "mental math". Let's say I go to the grocery story and I am on a budget it is more efficient for me to use my mental math strategies than to pull out a calculator. I believe that it is essential for students to see these real world examples so they can see the importance of math. Too often students do not see the importance of math skills therefore they grow to "hate" math. As students develop their knowledge of the Base 10 they must be able to visually see how to "make tens". 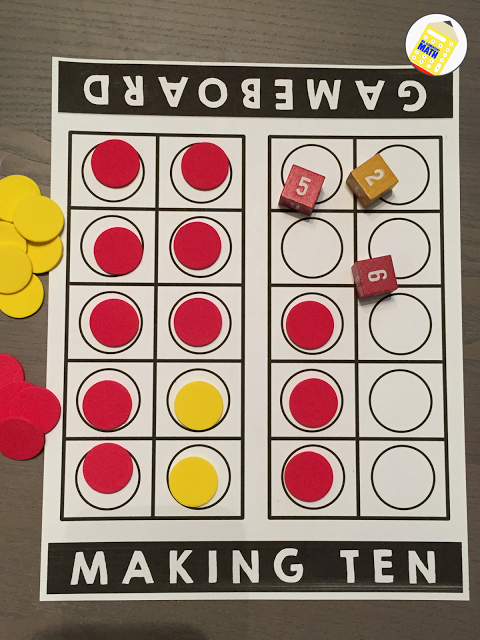 I think that the Ten frames are a great way for students to manipulate numbers into "groups" of tens. do you use 3 dice that have the numbers 1 – 6? If so, what do students do if the combination is less than 10? The recording sheet doesn't seem to work for that too. Any advice? 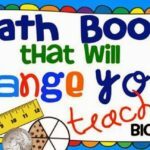 I would first like to thank you for putting this blog together, its great to see a male role model like yourself putting together a math blog for elementary grades. I could see myself putting together a blog like this once I have my own classroom in the future. It's clear from my classes and this blog post that getting students to develop ten-ness is crucial to their future learning. I have had the opportunity to work with students using ten frames, but my question for you is this: How do you know when your student has developed ten-ness? Or is ten-ness a concept that grows with a student over the years? When is a good time to move on from ten-frames and on to larger numbers? Thank you for your wonderful comments and your insightful question. In my view ten-ness is a something that develops over time for many students. I look at it as a concept that takes on a different look as students get older. 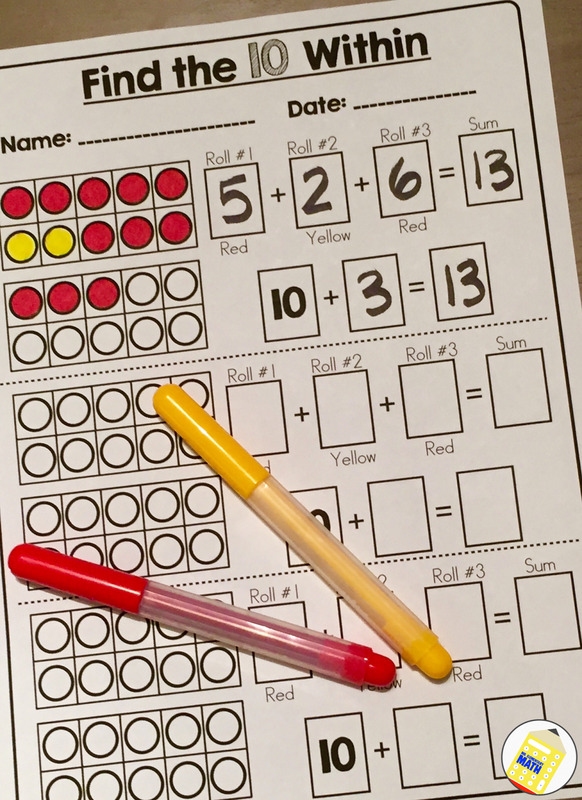 Ten frames is a great tool to use when build an understanding of benchmark numbers such as 5 and 10 as well as a way to visualize addition and subtraction. Ten-ness is an important piece is early number sense development in that it is not only critical in building understanding of numbers through 20 but continues beyond that number. I think of it like this, ten-ness really helps when subtracting mentally. Think about going to a store and paying $5.00 for an item that cost $3.62. Using the counting up method to determine the amount of change you should get back involves ten-ness. Virtually, I would start at $3.62 and count up to the nearest ten cent, which is $3.70 (8 cent away) then I would count by 10's to get to $4.00 (30 cent away). Now I am $1.00 away from $5.00. My total change back is $1.38. In mentally solving this problem a student would need to understand number relationships and how to use 10 as a benchmark. Ultimately, I believe that ten-ness is a critical component to number sense and continues to develop which larger numbers. 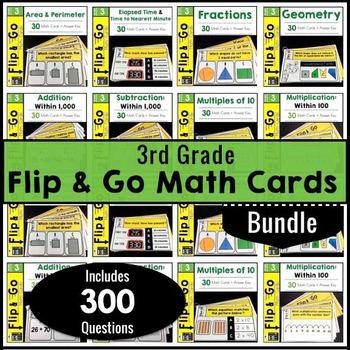 My students love math and math games. 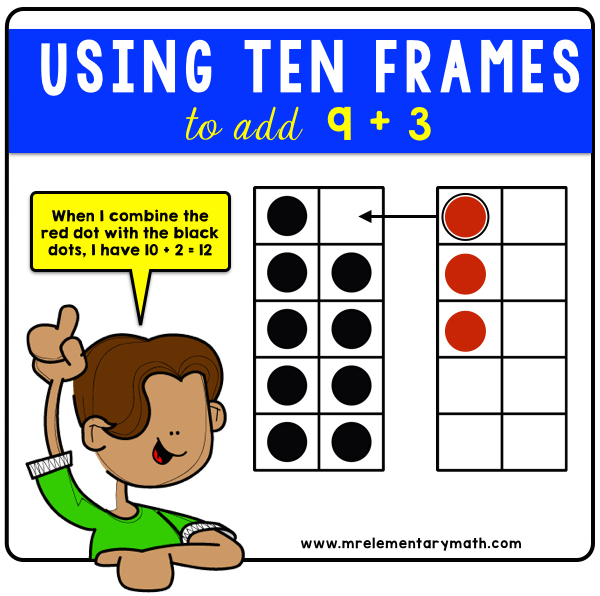 I'm always on the lookout for new ten frame activities. Thank you for the idea and template. Your welcome Mona! I hope your kids enjoy learning about making tens with Find the 10 Within. I'm a big believer in the power of ten frames, too, Greg! Thanks so much for sharing your activity! You are very welcome Linda The power of making tens and using ten frames is REAL!!! 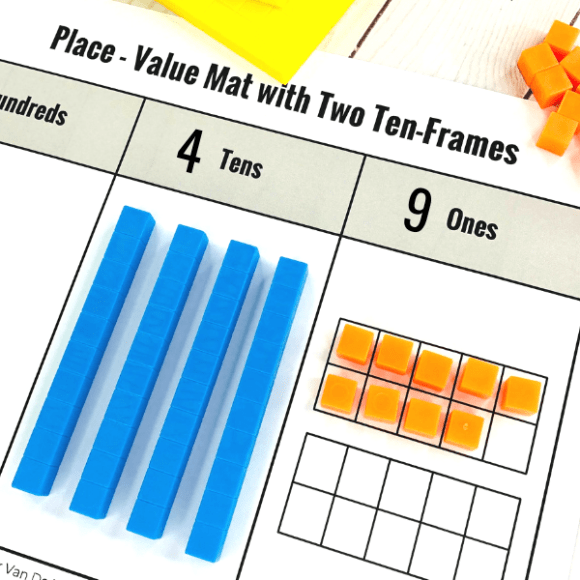 These definately help build the foundation for place value concepts. Thank you! This couldn't have come at a better time. I introduced making a ten to add yesterday to my first grade class. Half the class got it right away. The other half are totally lost. I plan on doing a follow-up lesson today, and this will be perfect! Thank you! I am glad that you were able to find am activity that you could use right away : ) I would love to hear how the follow up lesson goes. I am so excited you shared this today! I am going to get it ready and use it tomorrow!! Thank you for sharing things that can be used immediately in our classrooms–YOU ROCK!! Thank you Kelli! And you are very welcome. I know what it is like to be in the classroom and I try to share things that I know will be the most beneficial to teachers.